Right before Christmas my good gal pal Beauty Vixen hooked me up with some Deciem products to try out (she really is too good to me). Ever since then I have been slowly falling in love with Deceim brands – they are great! 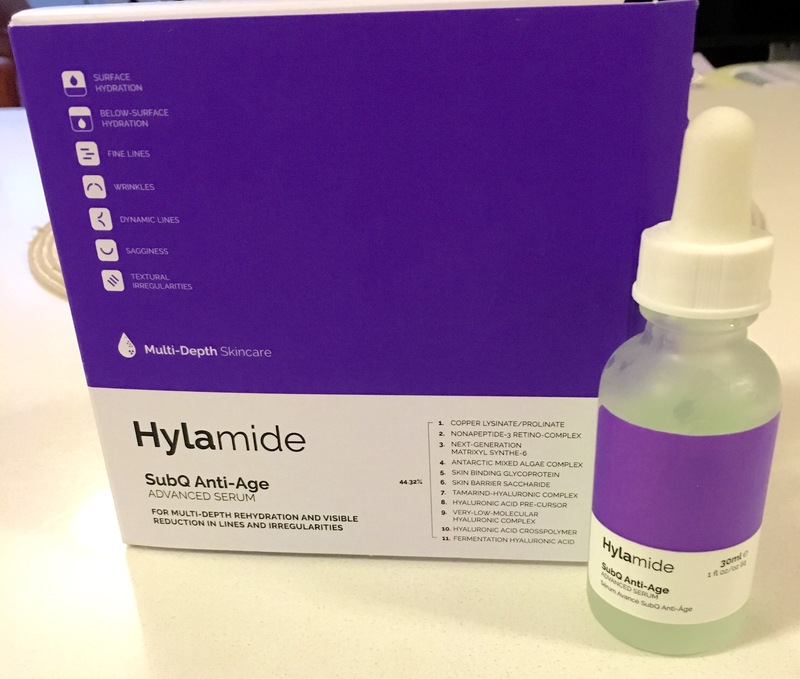 Right now I am currently courting the Hylamide SubQ Anti-Age Advanced Serum. A highly active concentrate of advanced hyaluronic complexes, next-generation peptides and biotechnological technologies to target rehydration on and below skin surface, while visibly improving lines, wrinkles, sagging skin and textural damage. Let’s ignore all the science stuff because I really don’t know much about that and won’t pretend to try. 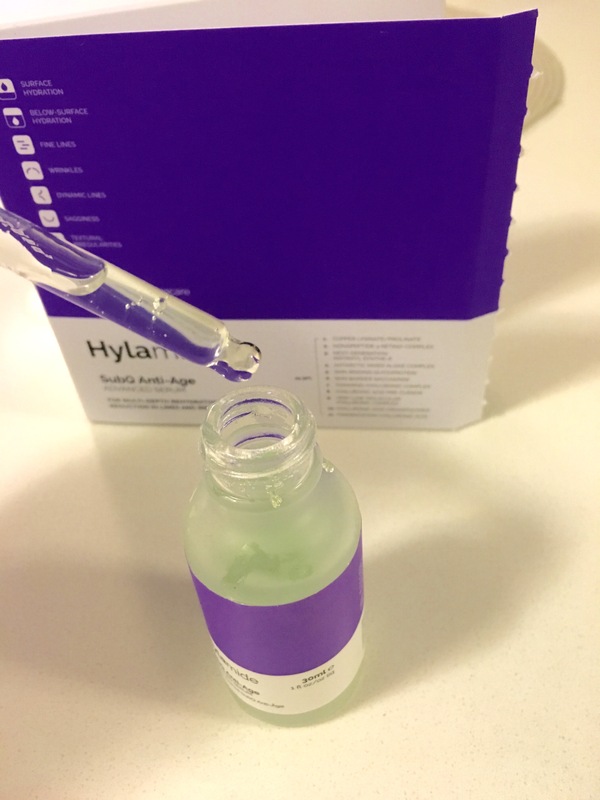 This serum is light weight and my skin absorbs it so fast that it helps to make my mornings pretty easy. I have been using it twice daily after cleansing and before I apply my day/night moisturizer for about 6 weeks now. My skin has been feeling so smooth and hydrated – and surprisingly enough I think the most noticeable improvement has been my neck skin. I don’t know if any of my signs of aging (stupid forehead wrinkles – but I showed you – I got bangs) has improved with use – but I can say that I have not noticed any additional wrinkles or fine lines popping up. For me I am happy with the product and happy with the results. I also like that it’s not sticky or “wet” when I apply it. A little does go a long way – which is great because it’s about $40 Cdn for 30ml (not outrageously priced by any means but every little bit of savings counts). 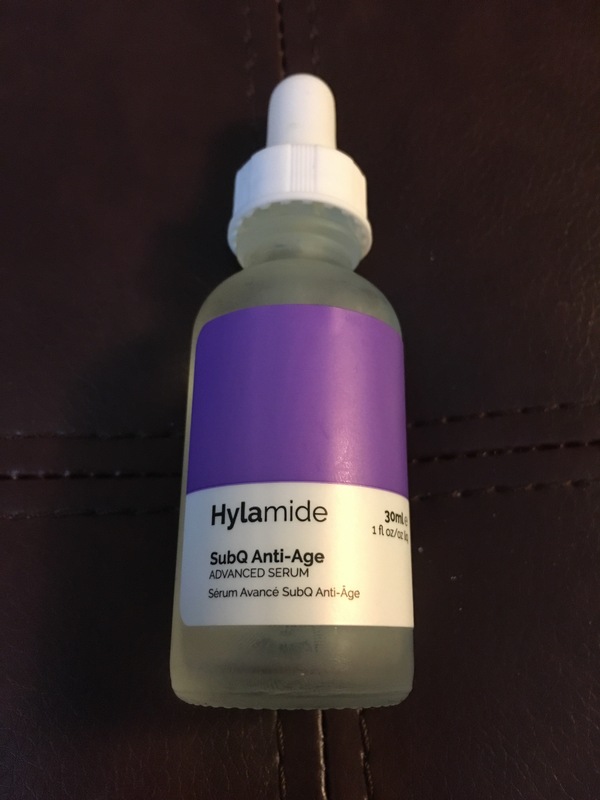 This entry was posted in Beauty and tagged anti aging, face care, face cream, moisturizer, serum, skin care by maldham. Bookmark the permalink.